Watch a video from Mike and Kalli here. Heartbreaking is just the start. 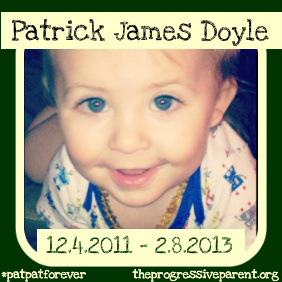 Only minutes after his passing, police forced their way into the grieving family’s home. Why would the interrupt such a private, painful & poignant moment? Cash is the possibly the youngest recipient of medical marijuana in the US, possibly the world. The Hydes started secretly giving their son cannabis oil when his second tumor was diagnosed– and his cancer went into remission, when given only a 30% chance of survival to age 5. He made it to 4 and a half. 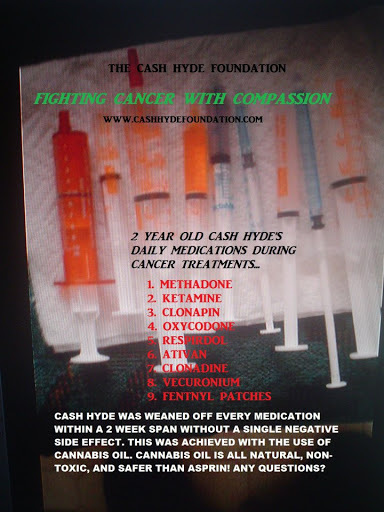 ♥ When the doctors were informed the Hydes had been giving Cashy cannabis oil, they were initially dismayed, but eventually agreed to wean him off of a cocktail of drugs that included methadone, ketamine and morphine he’d been prescribed to deal with the effects of radiation; he went 30 rounds without one nausea or pain medication aside from cannabis. I applaud Cashy’s doctors for their compassion and progressive thinking, as well. Kalli and Mike truly embody the meaning of what being a Progressive Parent is to me; they love their children with hearts like lions, educate themselves and let their own conscious guide their parenting decisions, not doctors, not laws- and certainly not uninformeed Judgey McJudgersons. 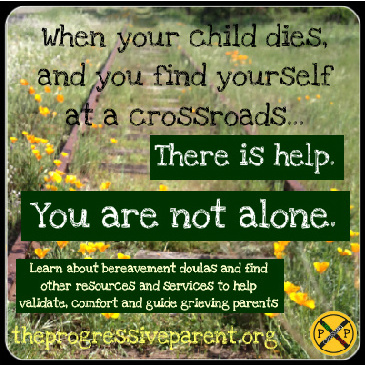 Instead, they have chosen to share their story, their son and his battle so that people like me who have never met them could fall in love and tag along, too. For that, I thank them with my whole heart. Kalli, his mother, is a member of my Facebook community and I check her and Cashy’s pages all the time. I feel the same as if it had happened to any other of my friends (or Progrents’) children. 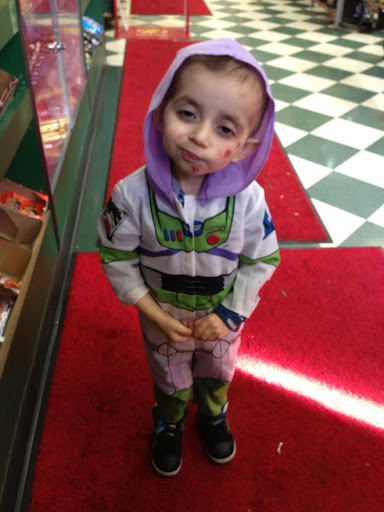 His Facebook page has pictures of him as Buzz Lightyear for Halloween, just two short weeks ago. I know as well as any how fast cancer can turn. I was just writing in today’s 30 Days of Gratitude post about having a hard time holding my son while he’s teething and I can’t fix it… I can’t imagine what it’s like to hold a child with cancer and know there’s nothing to be done. My heart breaks for Kalli and her husband, Mike. 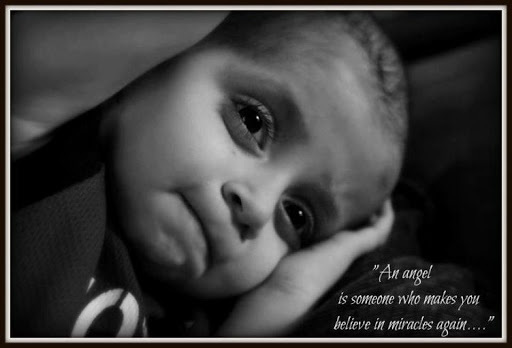 I am in no position to write anything of note or to eulogize such a sweet and brave little boy. Instead, I write not only to raise awareness for childood cancer and medical marijuana, but to raise the spirits of a family that I know is suffering greatly, and can use all of our thoughts and prayers during this extremely painful time in their lives. Cuddling with my sweet boy Cashy for the last time in our big family bed. I will hold your hand forever. Love you little man to the moon and back. You are a true hero and I am so proud of the fight you put on for the world to see. We have been laying with Cashy’s body all night, waiting for the Funeral Home to come and take him away. I cried as I held his cold hand knowing my sweet boy was no longer here and it was only a cold vessel. Thanks for all the kind words and prayers. You can read Cashy’s amazing story here and here, as well as Kalli’s latest blog entry here. Learn more about cancer and the drug war in the unfunded kickstarter campaign starring Cashy and featuring the oncologist, Dr. Donald Abrams, who saw my father during his own cancer battle two years ago here. Rest in Peace, buddy. Give my daddy a big hug when you get there. The tears just roll. Love, light and prayers go out to Cashy and his family. Enjoy your wings sweetheart. And now I'm bawling. My heart goes out to this family. All I can do is give voice to their cause and pray for peace for them.